There becomes a time when a family may decide to move their elderly loved one into a residential or nursing home so that they can receive the care they need. Yet, it’s not just about care, of course. We also want them to be provided with as much comfort as possible and the best quality of life for the days ahead. 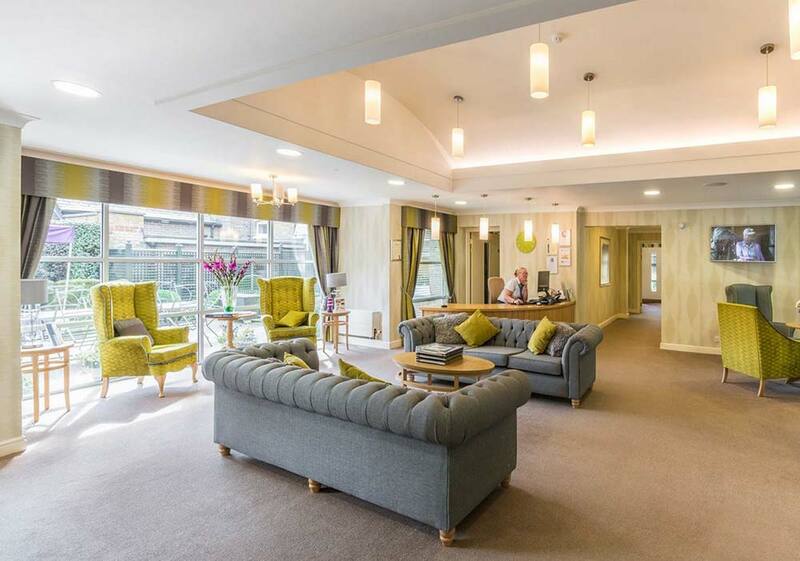 A welcoming care home environment should always include attractive and carefully designed day spaces or communal areas. These multi-functional spaces are for spending stimulating time with others and taking part in activities, away from the confines of the bedroom and the hustle and bustle of the corridors. It is not at all unusual to find, when revisiting a completed project, that residents will tell us what a difference our renovations and refurbishments have made to them. And the main focus is always on the new, spacious day room that was designed and built. Vibrant day spaces create warm, welcoming environments. They’re a space for chatting, for games, for sharing music and programmes and for adding that touch of the unplanned and spontaneous that makes each day enjoyable. Day spaces need to feel special. This space must feel like a living room not an institutional waiting area and it needs to look different from other spaces in the care home. The true test of a successful communal space is that when someone walks into it they immediately feel at ease. Furnishings, colour schemes and natural light are simple ways to create a warm and homely communal area, but you should also try to accommodate the varied needs and interests of all residents. Careful use of fabrics and arrangement of furnishings will help to make it feel like a lounge. Furniture upholstered in vinyl fabric is almost certainly not what you would choose at home. There are many impervious fabrics available designed especially for the healthcare industry which are tactile and comfortable whilst still maintaining a high level of stain resistance. Colour schemes are important for creating warmth and also contrast, which older people need in order to visualise everything properly. Wallpaper is a popular choice in healthcare environments and can be used to great effect to create a desired atmosphere. Warmer colours such as red, yellow, orange and peach help make a large open area such as a day room feel cosier. It’s also widely recognised that there is a calming effect created by cooler colours such as blues, greens and teals. For dementia friendly coverings, look at using fluid and soft patterns and colours without anything too bold or busy. Contrast can be achieved in many ways. Woodwork can be kept white against coloured walls or contrasting doors such as Oak doors can also be used which also add a premium feel. If you’re in need of protecting the space from knocks and bumps then coloured or textured wall or door protection sheeting and rails can be used to create contrast. Natural light is important for the residents’ wellbeing. Ground floor day spaces can benefit from patio areas, accessed through large doors, that enable residents to spend time outside in the summer months, and let light flood in during the colder months. Try and cater to all residents. To their interests: some may wish to sit in a quiet corner and read, others to watch TV, others to chat and so on. A focal point, such as a fish bowl or a tea and coffee machine, can work well. To their needs: residents with dementia need to feel safe and secure, and quiet areas, simply decorated and away from too many distractions, can help. You also need to consider the different levels of visual and hearing impairment, incorporate accessible nurse call facilities and ensure that all areas are easily navigated by wheelchair users. Do try to differentiate between different areas but make sure everyone feels free to move around as they wish with a sense of independence and freedom. As you can see, it needn’t take too much effort to create a thriving space where residents can assemble to enjoy each other’s company. However, it can have far-reaching benefits for your care home. We’ve found that the best communal spaces can aid the mental and physical health of the residents – and can greatly boost staff morale too. In the longer term, these features may help to improve the commercial success of the home itself. Cortec aren’t care experts – we’re principal building contractors, first and foremost. But, we do choose to specialise in care home projects. We have strong links with architectural firms and interior designers who, like us, like nothing better than working on a care home project. 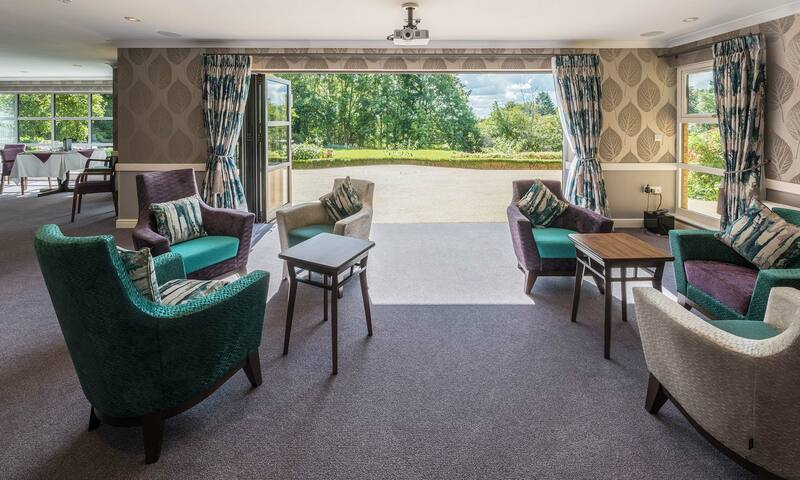 Over the years, we’ve gained a fair amount of insight into what makes a care home feel more like a home than just a place of care, and what really changes perceptions, for both residents and staff, is a vibrant communal day space. and please do get in touch if we can help to put a smile on the faces of your staff and residents.